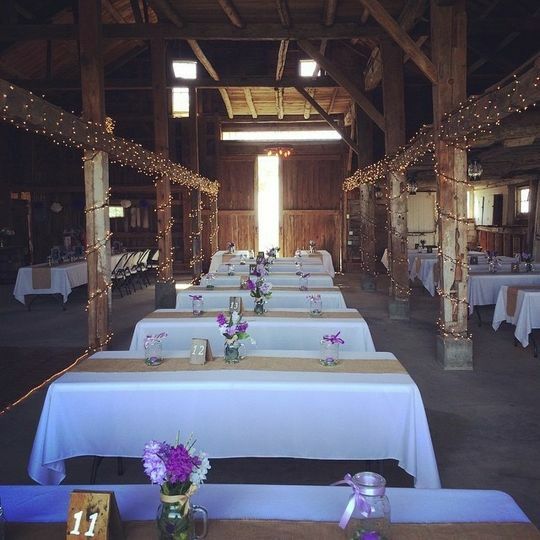 A gorgeous rustic, barn wedding venue located in Greene, Maine, Vista of Maine Vineyard & Cidery provides picturesque scenery for the wedding of your dreams. 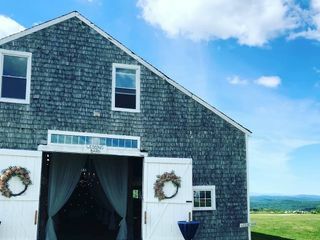 Located in the middle of apple orchards and a breathtaking vineyard, the venue is in a private spot overlooking the Sabattus Pond and amazing sunsets over the White Mountains. 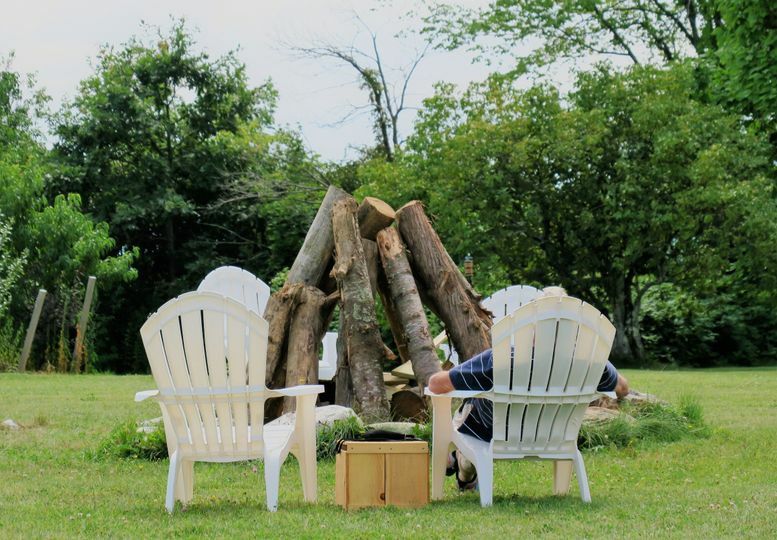 Vista of Maine is 50 minutes north of Portland, 20 minutes north of Auburn and 40 minutes east of Augusta, in a convenient spot near restaurants and hotels for your guests to enjoy. 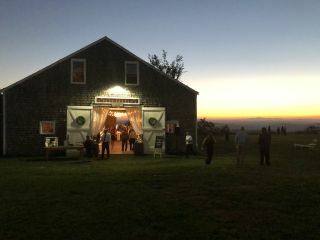 Built in 1833, Vista of Maine Vineyard & Cidery is a historic and vintage venue with an elegant atmosphere. 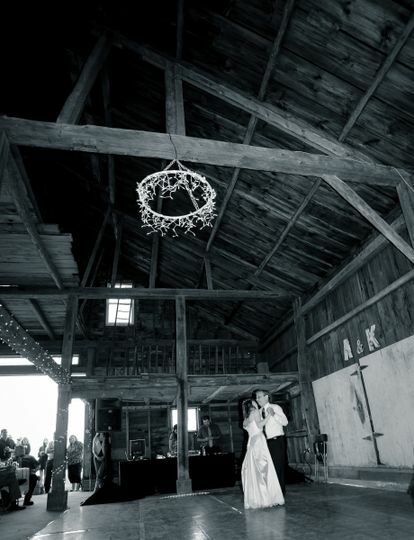 The barn is the perfect location for your ceremony and reception, holding a maximum of 200 guests. Couples also have the option of renting the vista room for their rehearsal dinner, cocktail hour and/or brunch. So to begin with, this was the most special spot my wife and I had found after an exhausting search throughout all of New England. 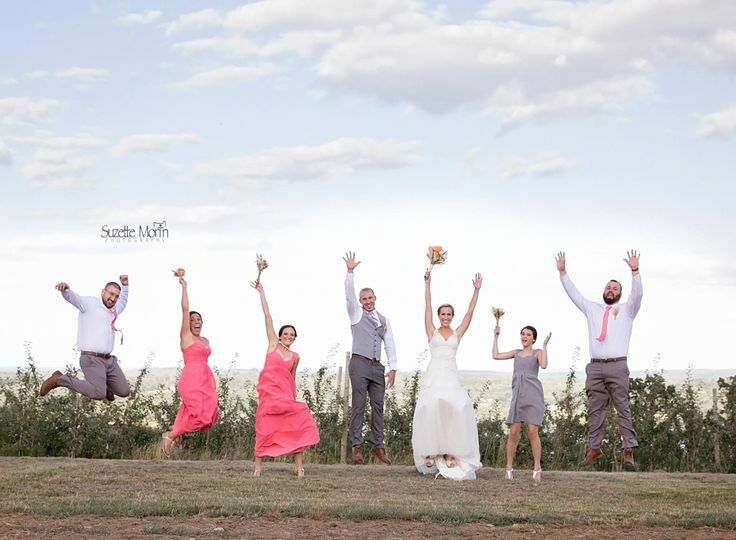 The venue is perched atop a hilltop, overlooking mountains and a beautiful lake and is surrounded by rows of apple trees and wine vineyards, which made it so special. 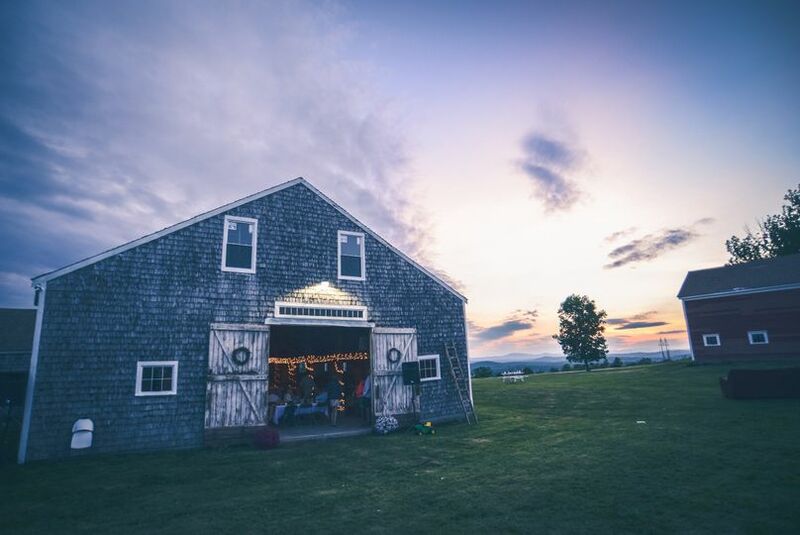 There's also an absolutely gorgeous barn that easily fit our 175 guests plus a live band. There is just so much sprawling outdoor space to take advantage of here, which is exactly what we were hoping for. But the real treat was being able to work with the Rickers who own this working farm. They were SPECTACULAR, always easily reachable and responsive, and truly went above and beyond to make sure our special day was just that. A special side note - the Rickers also own their own cidery, so we included a number of non-alcoholic and hard ciders (blueberry cider?!?!!) 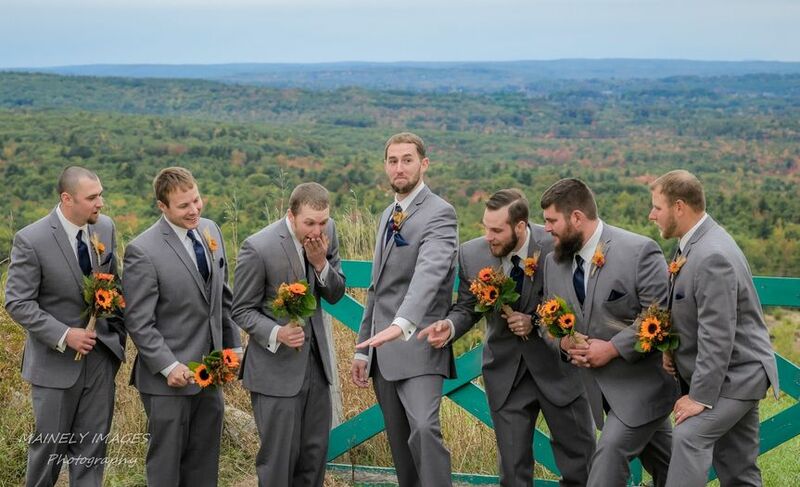 that was a hit at the wedding. 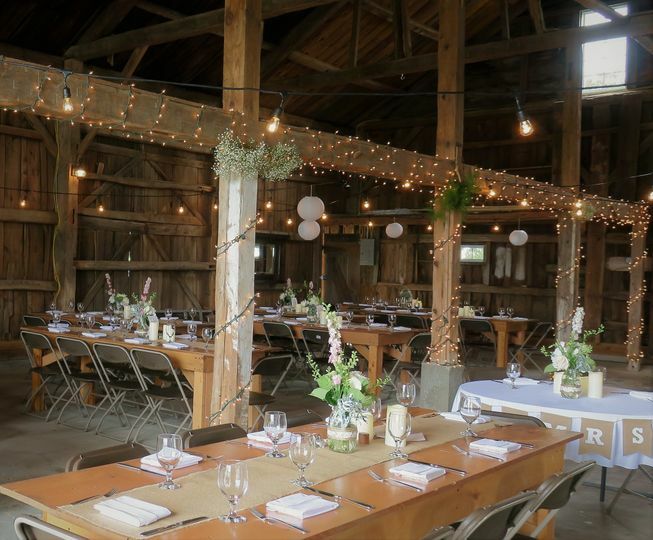 How this venue is somewhat off the radar still is beyond us, but we felt we found a special, unspoiled and absolutely unspoiled oasis within the heart of Maine! Highly highly recommend!!! 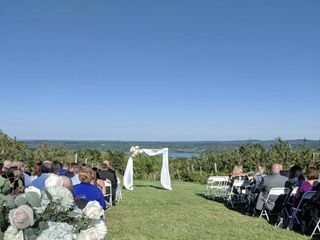 Still on cloud 9 after being married at Vista of Maine last Saturday. 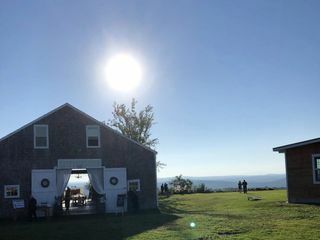 The views, the orchard, the barn - everything is absolutely breathtaking, and all of our guests were impressed with the gorgeous sunset and mountain views. We wanted a venue that was spacious and allowed for an indoor/outdoor flow with plenty to see and do. Vista of Maine was everything we hoped for. Alicia and Barbara were so helpful, checking in throughout the planning process and answering any questions we had. 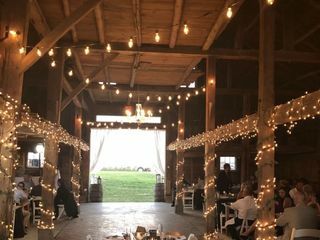 Can’t forget to mention they make amazing cider and apple cider donuts, which we incorporated into our big day and they were a HUGE hit. I would highly recommend this venue...you won’t regret it!! My husband and I had our wedding here on Sept. 8th. We had booked with Alicia two and a half years prior to our wedding at a point where the venue was still being created into Alicia’s “vision.” We put our faith in the Ricker family to deliver on their vision, that we talked about during our first visit, and were nothing but impressed with the transformation! Alicia is so great and easy to work with! She was very accommodating to us, helping with nearly anything we might have needed to make our day go smoothly. 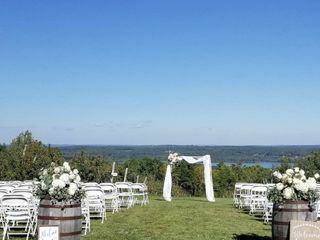 The venue is absolutely stunning and, no matter where you are in the property, the views are incredible! Our guests had nothing but great things to say about Vista of Maine! 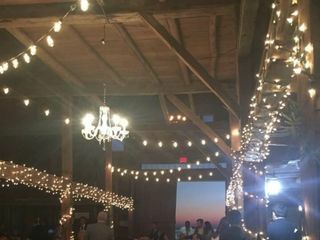 We couldn’t have picked a more perfect venue for our wedding!! Thank you, Alicia, for everything and helping us make our dreams come true! We can’t wait to come up and visit again!